Tennis icon Maria Sharapova and 16-year-old Chinese sensation Wang Xinyu got themselves ready for a roaring start to the new season with a visit to the Longgang Dragon Square here in Shenzhen. ‘Long Cheng Guang Chang’, as it’s known locally, is a famous landmark square in the heart of the Longgang district of Shenzhen city and features a towering statue of a bronze dragon as its centerpiece. Sharapova made her long-awaited return to tour this April and has steadily climbed up the rankings since, culminating with her first title in two years coming at Tianjin in October. “Last year’s title in Tianjin was quite meaningful after not having a title for a couple of years. I felt like I’ve built quite a good base at the end of last season and now to start the year in a new place is always exciting. 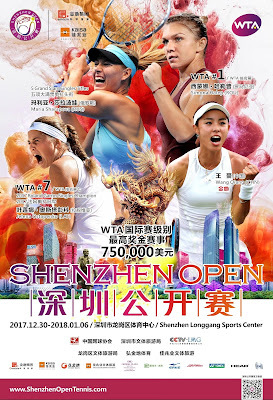 We travel around the world often to the same places and see the same people, so to see a new set of fans here in Shenzhen and to experience a new environment and stadium - it’s always invigorating to start a year that way,” said the 30-year-old Russian, who will be making her Shenzhen Open debut next week. Meanwhile, Wang is set to be the youngest female player in the main draw of next month's Australian Open. The plucky lass defeated top seed Misaki Doi in the semi-final and Abigail Tere-Apisah in the final of the Australian Open Asia-Pacific wildcard playoff early this month to book her spot in Melbourne. “I think the key to my victory was to just keep going and never give up, even when you’re not playing your best tennis. It just felt amazing because me and my team, we didn’t think I could make it and so we’re very happy I did. I haven’t played matches in a long time because of the off season so it would be nice to start 2018 with a good performance in Shenzhen. I’m excited to play here in front of my home fans as I’m sure I will get a lot of support,” said the Shenzhen native, who will be youngest ever Chinese tennis player to feature in the main draw of a Grand Slam. A nice plate of spaghetti with tomato sauce, the triumph of simplicity and a true symbol of Italian cuisine and the Mediterranean Diet around the world, marks the encounter of two extraordinary champions in their respective fields. On one side, the greatest tennis player of all times, Roger Federer, an icon of style and lover of good food who does not hide that he’s “unfamiliar” with cooking. On the other, Davide Oldani, the Michelin star Chef who made ‘Pop’ cuisine his tenet: simple ingredients affordable to all, but always cooked with great mastery. Two talents who meet for the first time in front of an icon of Italian food for a special occasion: the shooting of a global commercial in Italy for Barilla, the world’s most loved pasta brand. “I’ve travelled a lot of countries, with different traditions and gastronomic cultures… but pasta remains one of my reference points. I’ve been eating it since I was little; I find it to be a fantastic food. Yet, I don’t know how to cook it” – the Swiss champion admits – “To tell you the truth, when it comes to cooking, I’m far from perfect”. Federer is not someone to shy away from challenges, however. He will not stop halfway on the path to perfection. The time has now come to engage in a very difficult challenge for him, the quest for perfection in the kitchen. This is the first step in a journey that will see Roger Federer succeed in bringing his mastery perfection from sports to daily life. A box of Barilla Spaghetti N°5 and a few simple ingredients are his tools. His gestures and the way he puts himself to the test show that he has the makings and talents of a champion. This is the narrative framework of the partnership between Roger Federer and Barilla. So one discovers that, like in tennis, the recipe for perfection is made of simplicity, passion and commitment. An accessible and daily art that yet needs training and perseverance. “Pasta has been in my daily diet since I was a kid. I am really happy to be part of the Barilla team: they are the best in their field”. Federer & Oldani: an impromptu meeting that promises plenty of surprises. An unexpected pair that actually share many traits: talent, discipline, commitment and - most of all - the passion for the excellence of simple things. A master playing the role of the apprentice and a challenge that proves rich of surprises. All this seasoned with glamour, style, humor and fun. But what will the strict “maestro” think of Roger’s début in the kitchen? “You can immediately recognize a champion: whatever he does, he puts all he’s got in it. 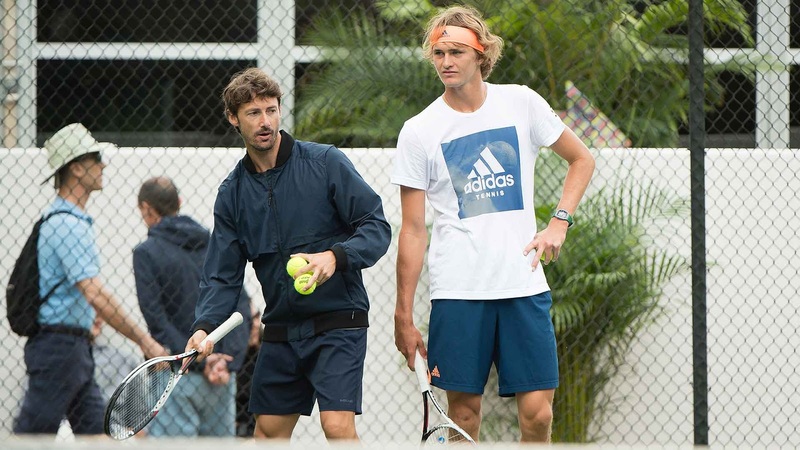 Filming the spot with Roger was a real pleasure,” coach Davide Oldani said. 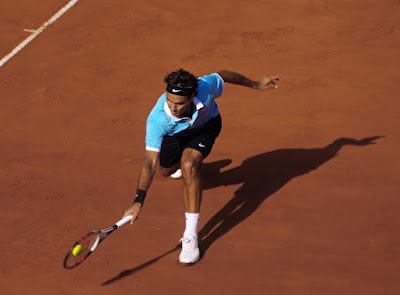 Just like Roger Federer represents the apparent simplicity of the technical gesture in the tennis world, so the instant translation of “less is more” in the cooking world is represented by spaghetti with tomato sauce: the simplest pasta recipe, healthy and iconic, the symbol of the Mediterranean Diet. A recipe that Oldani has proposed with a touch of creativity by adding mint instead of the traditional basil, to reinforce the concept that simplicity and tradition are always evolving, as long as one keeps the importance and quality of the raw materials in mind. During his long and brilliant carrier, Federer has collected many records and titles: he holds the no. 1 ranking for total weeks as best tennis players in the world (302); he won 91 single ATP tournaments, with a record 19 victories in Grand Slam tournaments. In his career, he also won two Olympic medals. In 2017, he won three tournaments, including the Australian Open and Wimbledon. At these levels, nothing can be left to chance, least of all the diet. This is particularly true for a perfectionist like Federer, who has become an example of longevity in sports also thanks to a correct dietary lifestyle. Pasta is the centrepiece of his dining table: “A correct diet is essential to my success: pasta perfectly combines my nutritional needs with the desire to eat good-tasting food”, Roger Federer concludes. Wishing everyone a Merry Christmas and a Happy New Year! If you haven't watched the Christmas themed videos by ATP and Tennis TV, we have them covered for you in this post. Andy Murray has announced that he will mentor a 17 years old tennis player from Scotland as part of his new management agency. The Scottish who is also a former world no. 1 has selected the first batch of three promising future sports stars to join 77 Sports Management, an organisation he set up just last year. They are Aidan McHugh from Glasgow and will be joined by 20-year-old twin sprinters Shannon and Cheriece Hylton from Nottingham. McHugh is currently British junior no. 2 and has six junior titles to his name. 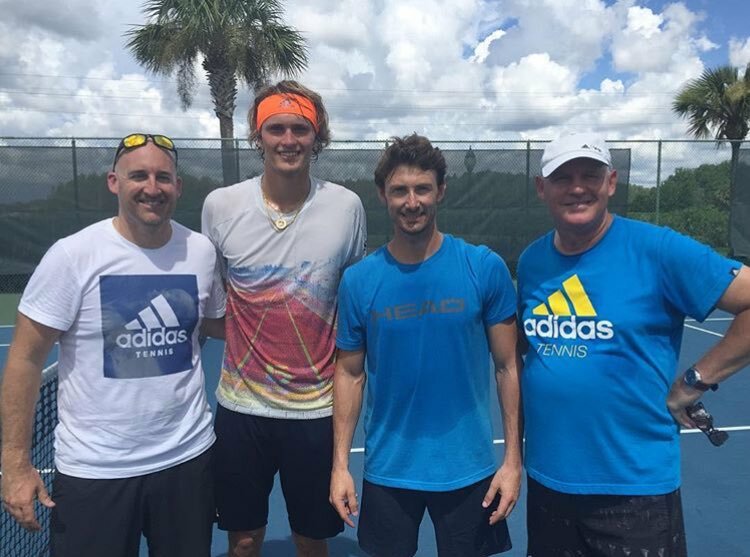 He made his debut at the Wimbledon Boys Championships earlier this year and has been training on court with both Andy and Jamie Murray. While we wait for the future tennis champ to emerge, do spend some time to play the most popular table games online. In this new role, Murray will work with his team to plan and manage all aspects of the young prospects' careers as they work to establish themselves in their respective sports. In his interview with BBC Sports, he said he would use his own experience to mentor the trio and guide their professional decisions. They will also have access to the same facilities, personnel, nutrition, sports science and commercial opportunities. Murray said, "I signed with a management company for the first time when I was 12, 13 years old, which to me is ridiculous." "It's way, way too young. You don't need that pressure. You're trying to become a professional and certainly my parents were not experienced in dealing with those situations." "You can get yourself into trouble by signing long-term contracts that might not be in your best interests. Things like that you can avoid if you've got the right people around you." 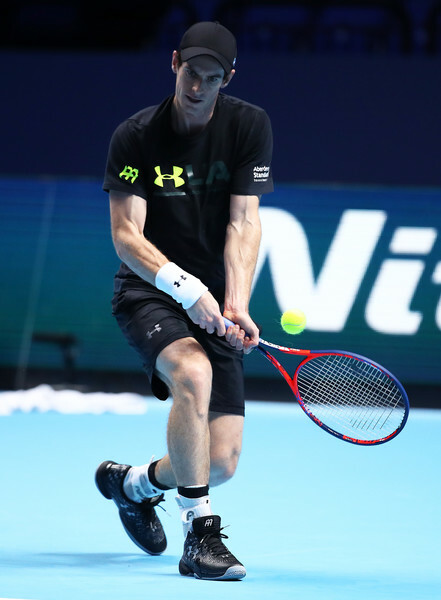 Murray started playing tennis at the age of three. This is the first time Murray has spoken about his new venture in sports management. In the exclusive interview with BBC Sport, Murray explains his plan to recruit and mentor top prospects, while still competing at the highest level himself. Murray says he decided to kick start his own management company after his maiden Wimbledon triumph in 2013. Murray set up 77 Sports Management, a spinoff from the group that took care of him. It intends to provide recruits with access to the player himself as well as much of the set-up around him - personnel, sports science, nutrition, facilities, commercial opportunities and more. "If there's anything they, their family, or anyone around them wants to ask or talk to me about, then that's what I'll do," he adds. "I don't want to be imposing my views or ideas on anyone. But I think that's one of the nice things about having an athlete as part of the management company." "Often the people in management companies haven't played the sport or been athletes themselves, so hopefully that's a little extra thing I can add." Meanwhile, Murray is still hopeful of returning to the tennis tour in Brisbane in 2018, months after limping off the Wimbledon's Centre Court with a painful hip. However, he refused to guarantee he will recover in time for the tour. 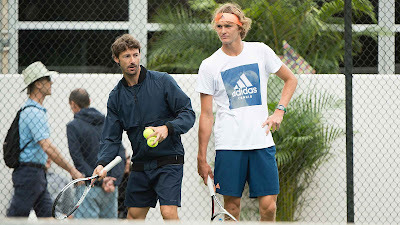 Currently he is doing plenty of rehab but has taken the risk and took part in a fundraising event to play against Roger Federer recently. 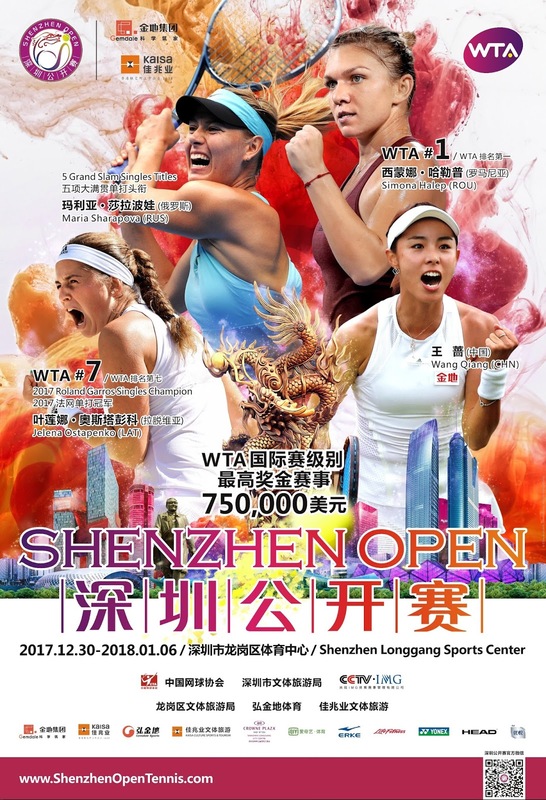 The Shenzhen Open will celebrate its sixth anniversary and has promised to deliver an exciting US$750,000 International Series WTA tournament set to be played December 30, 2017 to January 6, 2018. The tournament has announced that world no.1 Simona Halep will lead the charge. 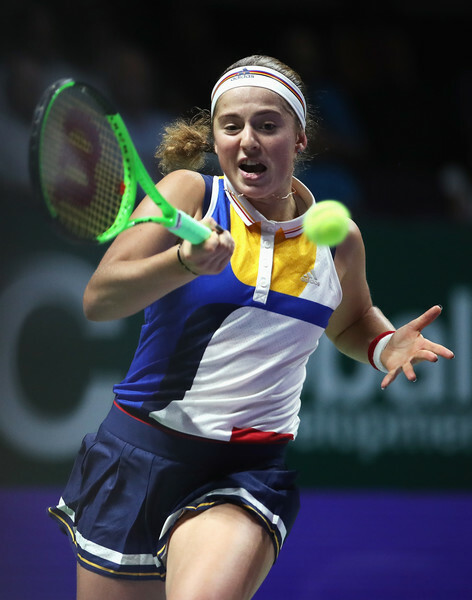 Joining her will be the phenomenal Maria Sharapova as well as the reigning French Open champion and breakout star in women’s tennis for 2017, Jelena Ostapenko. And joining this illustrious trio of stars will be China’s youngest player in the top 50, Wang Qiang. Through the 2017 season, Halep, who has collected a total of 15 career titles, came close to wresting the world no.1 ranking for the first time on a number of occasions. A winner in Madrid and a finalist at Roland Garros, she finally achieved her lifelong dream at the end of the season when the cards fell her way and she became the first Romanian woman to crowned year-end world no.1. It is a title all tennis players strive for because it means you have reached the pinnacle of your profession. The return of Sharapova to the Tour this year provided another level of excitement for the tennis world. The legendary Russian continued to be one of the most talked about women in all sport. Sharapova is a winner of 36 career titles including five majors and she is one of a handful of active players to have played more than 750 matches (768). At the start of the French Open in May not many knew too much about the Latvian teenager Jelena Ostapenko but as the year’s second major progressed the chatter became louder. She turned 20 during those two weeks in Paris and incredibly, unseeded, she became the French Open champion coming back from a service break down in the final set to defeat Simona Halep. She continued to produce great tennis and qualified for the year-end Championship for the first time and ended the season as world no.7. China’s Wang Qiang enjoyed the best year of her career and reached a career high year-end ranking of 45. Through 2017 the 25-year-old from Tianjin, won Zhengzhou made the semis in Hong Kong and besides the Shenzhen Open also made the quarters in Tokyo, Kuala Lumpur and Dubai. The Shenzhen Open continues to be the richest International Series tournament on the WTA Tour. The 2018 singles champion will earn US$163,260 while the finalist will collect US$81,251. Similarly to the 2017 event, every single match will be filmed for broadcast – this continues to be a massive boost to the global broadcast footprint of the tournament. Live stream of the tournament will also be available online. While you're enjoying live streaming tennis matches online, feel free to also play instant casino games at Euro Palace. The final days of the tournament will again be broadcast on CCTV 5 in China along with Guangdong TV. It is estimated that the global broadcast reach of the event will exceed 225 million households. As a tennis fan, phone apps are very important to keep me updated on all the latest news about my favourite tennis stars, the access to real-time scores, offerings in the upcoming tournaments, etc. In this post, I would like to share the list of my favourite apps. This does not take into consideration of Twitter, Facebook and Instagram, which are highly essential in keeping me updated with breaking news and amazing photos of the tennis players usually created and shared by the tennis fans in the community. 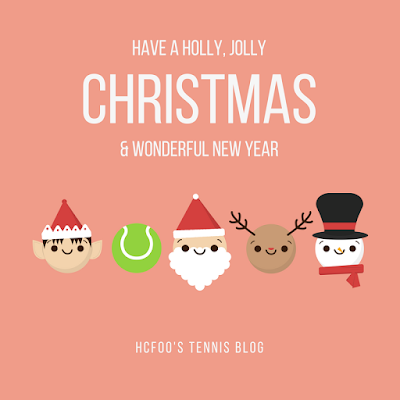 I spend a lot of time on the web because many nice tennis contents are still not available on mobile applications such as Menstennisforums, TennisForum or most of the men's tennis players like Roger Federer and Rafael Nadal. 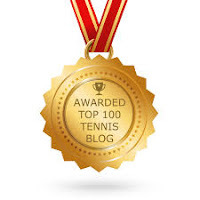 Here's a list of my top 10 FREE tennis apps, must-haves for any enthusiasts. Any tennis fan needs to have this on their phone. 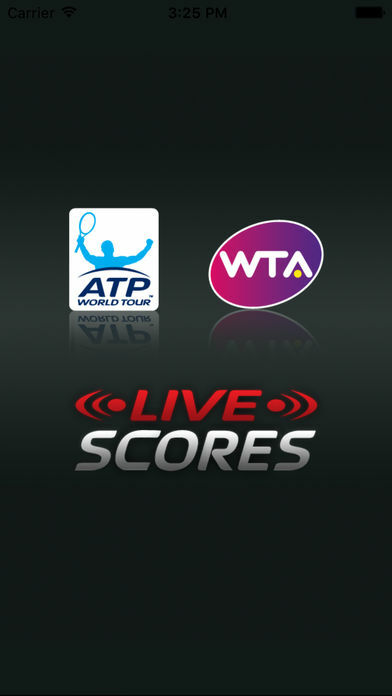 This is the official live scoring app provided by the ATP World Tour and WTA. So that means, you get to follow your favourite tennis players and all the tennis tournaments throughout the entire season, including the ATP Challenger Tour events. What I find most helpful are some of the important features such as OOP (order of play), live match statistic (so that I can use the data to complement with my discussion with fellow tennis Twitter friends from around the world during an ongoing match), tournament draws and head to head records. Each year I'd be looking forward to this Grand Slam tournament because of the amazing efforts done by their social media team. 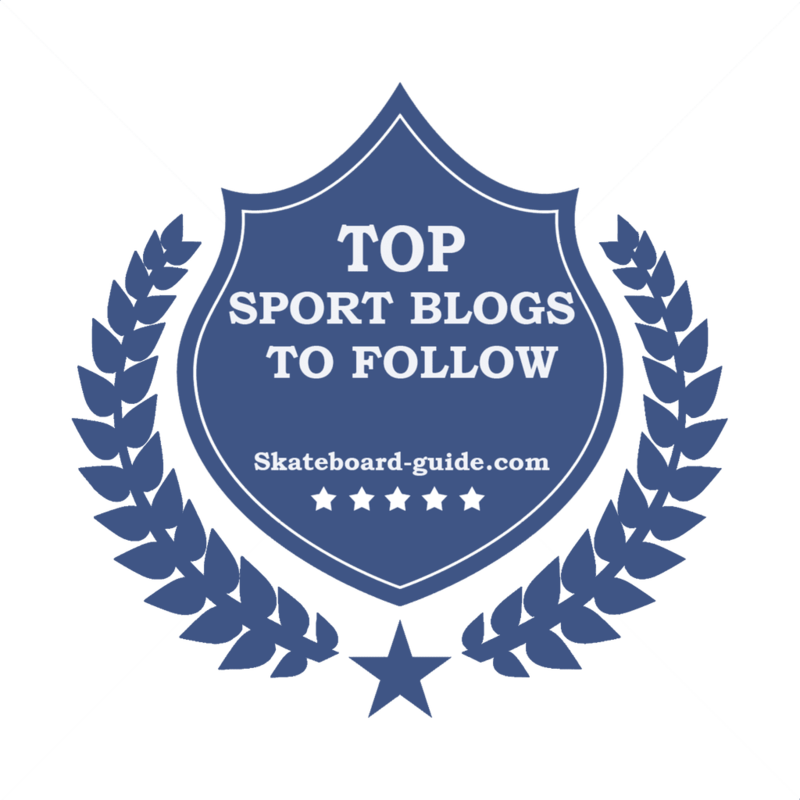 There are so many information available about the tournament and they never failed in engaging with their audiences online. I particularly love the official colour and the newly designed AO logo. They have the push alerts function so it's great for any avid fans to receive breaking news and special offers be it purchases at the Melbourne Park or online. Just like the historical tournament itself, this is the mother of all tennis apps. It has a sleek yet elegant layout design. I particularly love the live commentary, 360 degree video from the practice courts and their daily live coverage on podcast. If you're visiting the tournament, you can enable push messages to be delivered to your mobile. Love this app a lot! This is another important app built for a Grand Slam tournament, which every tennis enthusiast needs to have on their phone. It has all the features offered by other GS tournaments but this is my least favourite app among the 4 of them. I did not mention about the Roland Garros French Open app because it has been taken off iTunes. Since the individual men's tennis players don't usually have their own apps, this is the best app you could have. 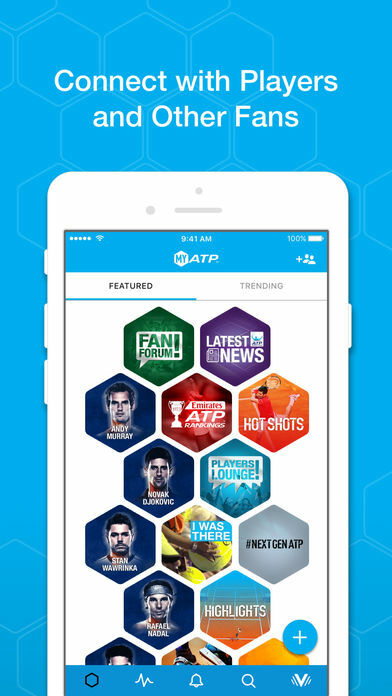 You can subscribe to your favourite tennis players and watch out for trending updates. There are a lot of Q&As with featured tennis players, which you can comment, like and share, so that's a plus point for this app. You can also send and receive direct messages with the people that you follow or follow you, so you can image the interactivity going on with the tennis fans around the world. This is an awesome app! WTA doesn't have an app that can be used all year long like MyATP. However they do have an app for the WTA Finals. It's extremely useful if you're using this at the venue. They have an interaction fan zone where tennis enthusiasts can answer tennis trivia questions. You can also take your Singapore Selfie which you can use to share on your social media and help promote the beautiful country at the same time. 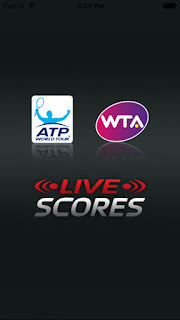 This is an extremely important app if you needed access to live tennis matches on the go. 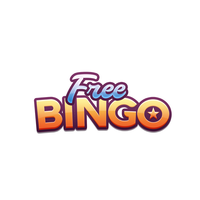 The app is free and you can watch snippets of videos on the Freeplay tab. However, in order to watch live or replay old matches, you need to be ready to fork out some money to pay for the subscription fee. It's quite hefty considering you need to pay RM62.90 per month (USD15) or RM519.90 annually (USD126). Highly recommended any tennis fans to subscribe to this instead of using those illegal streaming online. Updates are pretty slow on these app due to lack of content. I downloaded this app just for the sake of downloading it. I would prefer to read about her updates on her Instagram account. I love Garbine but I don't really fancy this app because updates are also extremely slow due to lack of content. Again, I recommend to follow her on social media platforms instead for the latest updates. I don't play online games that much but I thought it'll be really nice to mention about this game as one of my favourite tennis apps. 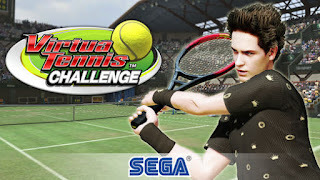 I have played this game many years back and I still think SEGA produced the best tennis game. Great visuals as always, you can save your game progress and the ability to adjust your control on different surfaces including clay, indoor hard court and grass. Simply the best tennis mobile game. Meanwhile, if you're interested in adult gaming, be sure to visit RB88 to access to betting sites that covers your favourite tennis matches and other sports of your preference. 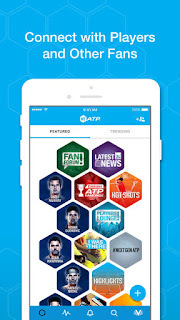 Do let me know if there are other really cool tennis apps which I don't mention here. Or apps which are available on Android and not on iOS. Schweinsteiger accompanied by Ivanovic at the Bambi awards where he received the Special Jury prize. Sporting power couple Ana Ivanovic and Bastian Schweinsteiger are expecting their first child together. Reports in Germany claim that the 30 years old former world no.1 woman tennis player is already five months pregnant. Ivanovic revealed the pregnancy news on her social media platform by sharing a picture of three sets of Adidad Yeezy trainers - including a tiny pair. The retired ace captioned the image: "A little extension to our family." Serbian Ivanovic tied the knot with former Bayern Munich and Manchester United midfielder Scheweinsteiger in a stunning ceremony in Venice last year. They currently live in the United States, where Schweinsteiger, 33, plays for Chicago Fire in the Major League Soccer (MLS). Ivanovic retired last December following a string of injuries. Schweinsteiger, who won eight German league titles, the Champions League and the 2014 World Cup, has a contract with Chicago Fire until March next year. Schweinsteiger and Ivanovic out and about in Italy before they travelled to England recently. Tennis is an extremely popular spectator sport where you can majorly enhance your entertainment quotient by placing a punt or two on the matches. Although it’s an individual sport, the variety of bet types offered in it closely resemble the kinds available in team sports. Furthermore, you can significantly improve your tennis betting gains by availing services like SBAT betting tips, which have proven to be extremely profitable for tennis bettors over the years. Whether you are betting on WTA or Wimbledon, placing a bet adds an extra dimension of fun to the event! Let’s go over the different kinds of bets you can place in tennis. Tournament winner odds are offered on almost all the entrants of any specific major tennis tournament, telling you the amount you stand to win by backing a certain player to win the tournament. For instance, if Stan Wawrinka is offered at 9-1 to win the Wimbledon, a £ 100 bet placed on him would return £ 900, if he indeed goes on to win the tournament. As evident from the name, these are bets wherein you predict the winner of a particular tennis match. The concerned two players are assigned a plus (+) and minus (-) sign, positioning them as an underdog and favourite respectively. The number against those signs reflects the amount you need to bet to win £ 100. So if Roger Federer was positioned as a favourite at -400 going into a tennis match, you’d win £ 100 by placing a £ 400 bet on him. On the other hand, if he were offered at +300, you’d need to bet only £ 100 to win £ 300 from your bet. Considering how the Swiss has been playing lately, having beaten Nadal four straight times, it’s only justified that he’s being offered as a favourite by many bookmakers for all his matches these days. These bets are about predicting the correct score in terms of sets in a tennis match. So, you could place a bet that Roger Federer would win a particular Wimbledon tennis match in straight sets, or that he would win the match by three sets to one. Essentially, it’s about predicting how dominantly a player would perform in the concerned tennis match. These bets are placed on the number of games the concerned player would win a tennis match by. Each player would be assigned a plus and a minus figure, reflecting the total number of games he/she can lose or win a particular match by, respectively. Also popularly referred to as over/under bets, these bets are about predicting the total number of games in a tennis match. So, if the total has been set at 28 games by the bookmaker for the U.S. Open, you’d need to place an over bet if you think that the concerned match would involve over 28 games, for instance, a score line of 6-4, 7-5, 6-3 (total of 31 games). On a side note, here’s a piece on Nadal emerging as a potential greatest tennis player of all time, having won the US open, and his career 16th Grand Slam, recently this year. Quite evidently, these bets are about which player you expect to win the first set of the concerned tennis match. A large number of off-line and online bookmakers provide a wide range of prop bets on tennis matches. These bets might range from the first player to lose his/her serve, to something like whether the match would feature a tiebreaker or not. Prop bets are an excellent way to increase the fun quotient of tennis matches. 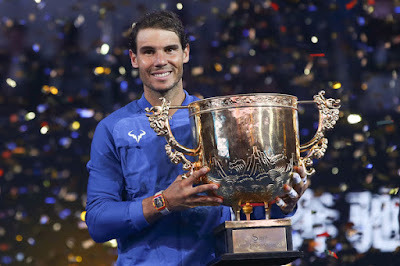 Rafael Nadal has created history by becoming the oldest male player to finish the year as the world no.1 after securing his the top ranking for the fourth time in his amazing career in tennis. The 31-year-old Spaniard assured himself the no.1 ranking by defeating Hyeon Chung 7-5, 6-3 in the second round of the Paris Masters. If you are interested to see how the other players fair at the Paris Masters, be sure to follow them at NetBetSport. The 16-time major singles winner becomes the first player to finish no.1 for a whooping four times(!) in non-consecutive years since the ATP rankings were introduced back in 1973, while the nine-year gap between his first in 2008 and most recent number one year is another record. Nadal had not finished the year at the top since 2013, with Novak Djokovic and Andy Murray dominating the sport after that. "One year ago, for sure I never dreamed about being number one again at the end of the season," said Nadal, who suffered a devastating wrist injury. "It has been an amazing year." 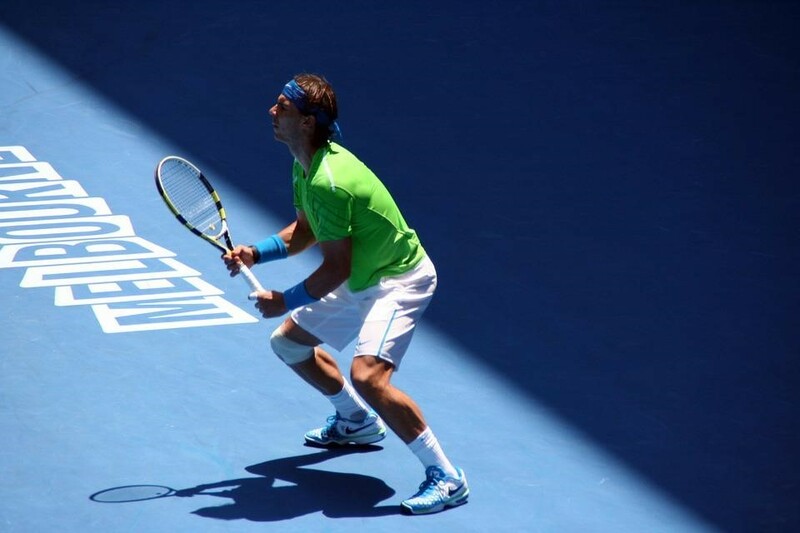 Nadal's comeback from injury, loss of form which affected his confidence level, has been a truly remarkable one. He reached three Grand Slam finals this year, losing to Roger Federer at the Australian Open but followed by a historical win after capturing his 10th French Open title before clinching the US Open for the third time. "It was impossible for me to think about coming back from a tough period without playing, and with so many injuries in the last couple of years," Nadal said. The only downside to his exceptionally remarkable season was losing to Federer. 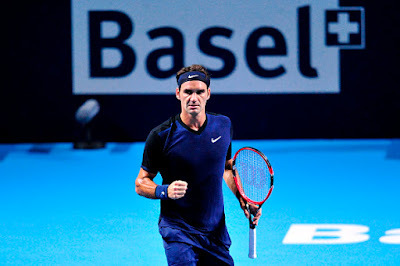 The Swiss maestro has beaten Nadal in four consecutive matches this year compared to Nadal's clear advantage in their head-to-head meetings in the past. Nadal was not playing at his best level against the Chung, but was rarely tested. He is tied for a record 30 Masters titles with Djokovic but has never won the tournament in Paris. If you are interested to see how the players fair at the Paris Masters, be sure to follow the betting lines at NetBetSport. Unexpectedly, Roger Federer withdrew from the Paris Masters happening this week which leaves ensuring Rafael Nadal has a clear opportunity to end the year as the world no. 1. Federer claimed a 6-7 (5), 6-4, 6-3 victory over Juan Martin del Potro on his home ground tournament, the Swiss Indoors final in Basel last weekend and right after that withdrew from the Paris Masters as he looks to get back to full fitness. If you would like to find out how other players perform instead, be sure to check out the betting lines for Paris Masters. 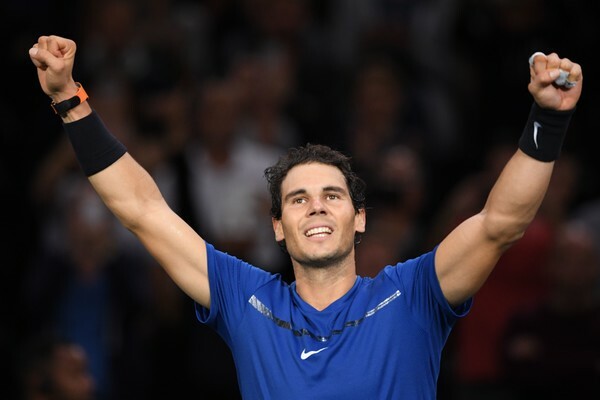 Nadal, currently leads the rankings and it is now every likely that the old rivals will battle it out at the ATP finals at the end of the season event. 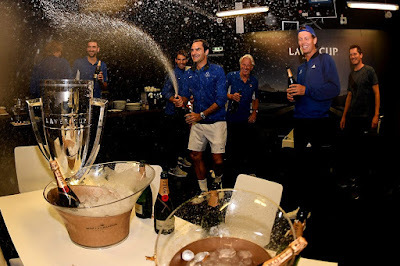 Federer, fresh from winning a 95th career title which puts him into second on the all-time list behind the 109 of Jimmy Connors, had said all week that he would make a late decision depending on his post-Basel fitness. "My body is asking for a break," said the Swiss maestro. "Basel takes a lot out of me emotionally. I had five matches in six days. I feel sorry and sad for Paris." "I love to play at Bercy, it's a few times now that I've not played there. It's a tough one but they have to understand that it's for the cause of staying injury-free and healthy." "I'd like to be fully fit for London (the World Tour Finals) and for 2018." According to ATP calculations, Nadal can clinch the year-end number one status by winning his opening second round match in Paris. The Spaniard will open his campaign at Bercy against South Korean young player Hyeon Chung. If you are tracking the betting lines for Paris Masters, you know where to go to while keeping an eye on the players' performance during this period. Federer last played Paris in 2015 and won the title in 2011. "I did think about the ranking, but I'm so far back in the points race that it was almost out of the question," added Federer. "I asked myself what I would do if the ranking (issue) was not there. I want to stay injury-free, not push it and maybe get hurt next week and then miss London." "It would be a snowball. It was not really about the ranking to be quite honest. If I was closer in the points race (to Nadal) it might have been." Federer is now 1,460 ranking points behind Nadal and misses out on the chance of the 1,000 on offer in Paris. Caroline Wozniacki thrashed world no.1 Simona Halep 6-0, 6-2 to reach the WTA Finals last four in Singapore. The Dane, who beat Elina Svitolina in her first match, broke Halep's serve five times in a victory that secured progress from Red Group. The 27-year-old, a former world number one, took the first set in 24 minutes against Halep, making only two unforced errors. Overall, Halep committed 17 unforced errors throughout the match, compared to just seven from Wozniacki. If you are following the betting odds for WTA Finals, keep an eye on the players' performance in Singapore during this period. Wozniacki, now ranked no. 6 in the world said, "I didn't expect to be leading by this much, so I was asking myself, 'What's happening, am I really playing that well?'. "I just tried to stay positive, stayed aggressive, take the ball early and go for my shots." Wozniacki is one of five players who could finish the year as world number one by winning the tournament. Meanwhile, Caroline Garcia won the last four games to beat Svitolina 6-7 (9-7) 6-3 7-5 in the other Red Group's match. The result means any one of Halep, Garcia or Svitolina could join Wozniacki in the semifinals depending on the results of Friday's last robin-round matches. Karolina Pliskova has already qualified from the White Group, with Garbine Muguruza and Venus Williams playing for the second qualifying spot on Thursday. With just 10 days to go before the start of the BNP Paribas WTA Finals Singapore presented by SC Global, the tennis fever has hit the city with a slew of entertainment and lifestyle activities happening alongside the on-court action at the crown jewel event of the WTA calendar. The Porsche Race to Singapore is set to culminate in a world-class display of tennis action by the world’s greatest singles players and doubles teams at 2017 WTA Finals. With the recent addition of Caroline Garcia, who displayed her dominance at the Asian Swing, fans can get ready for a real treat with the line-up filled with formidable young players like Grand Slam champions Jelena Ostapenko and Garbiñe Muguruza, newly crowned WTA World No. 1 Simona Halep and veteran superstars like Venus Williams and Caroline Wozniacki who have rallied through a resurgent season. “The Porsche Race to Singapore has been a showcase of unbelievable performances throughout the year, with thrilling twists and turns. We are excited for the arrival of the world’s greatest in women’s tennis again in Singapore, and are looking forward to the grand finale of what has been a highly competitive season,” shared Melissa Pine, Vice-President of WTA Asia-Pacific and Tournament Director of the WTA Finals. Whilst the world’s greatest women tennis players battle it out at the Singapore Indoor Stadium, tennis fever will extend across the island and public can look forward to meet some of women’s tennis greatest legends like Martina Navratilova, Chris Evert, Kim Clijsters and more in various community activities. From 20 to 29 October, Courtside@CHIJMES, a family-friendly carnival will serve up a variety of activities including tennis-themed games, a health and sustainability fair, guilt-free food market, mass Zumba work-out, watercolour and brush calligraphy, as well as gardening and leather crafting workshops. Visitors can also enjoy art and light installations including an APP-commissioned interactive art piece titled “Glimpse” by local multi-disciplinary artist Yang, which dispenses DIY planting kits made from recycled tennis balls when activated. On 24 October, tennis fans can get up-close to their favourite doubles players as they determine their match-up’s at the Doubles Draw Ceremony. Throughout the week, WTA Finals 2017 ticket-holders can enjoy special F&B perks of up to 50% when they dine at CHIJMES and travel conveniently between the Singapore Sports Hub and CHIJMES with complimentary shuttle services, during the tournament. Aside from CHIJMES, Adrift at Marina Bay Sands - the Official Bar of the WTA Finals - will be serving up a specially-curated menu of eight tennis-themed cocktails such as the Gin Spin, Lawn Dart, Garden Margarita and different variations of Pimm’s. WTA Finals ticket-holders looking to catch a pre- or post-match drink can enjoy 1:1 promotions and discounts on the bespoke drinks menu. Tennis fans can also watch an exclusive screening of the Singles Draw Ceremony while sipping their drinks at the bar on 20 October. Sports and tennis professionals will also benefit from the stellar line up at the Tennis Coaches Conference on 23 October at the Conrad Centennial Hotel. Headlining the conference are former WTA World No. 1 Lindsay Davenport and Judy Murray, a trailblazer in grassroots tennis development and mother of Grand-Slam winning sons, Jamie and Andy Murray. The Singapore Sports Hub, epicentre of the tennis action, will also be abuzz with a mix of sport, lifestyle and entertainment activities suitable for all. Kickstarting the week on a high is a one-stop, Asia-exclusive performance by the best-selling boyband of all time, the Backstreet Boys, on 21 October at the National Stadium. Fans can rock to their favourite tunes at the highly-anticipated concert, held in conjunction with the WTA Finals. At the Fan Village located at OCBC Square, visitors can strengthen their skills with a virtual game of tennis, strike a pose for tennis-themed photographs and win exclusive prizes across the multiple activities. A custom lettering service starting from just S$2 is also available for those looking to customise their tennis memorabilia. Beyond the tennis, visitors can also take part in perfumery, henna design and ceramic potmaking classes. Fans will also have opportunities to rub shoulders with their favourite tennis stars and legends as they make their appearances at various parts of the tennis hub. Budding tennis stars can develop their A game, picking up tips as they watch the greats practise at the free-to-enter Player Practice Sessions taking place 21, 22 and 28 October at the OCBC Arena. For a holistic tennis experience, fans can join the Singapore Tennis Festival Experience Tour by ActiveSG, taking place at the Sports Hub from 22-29 October. Beyond watching the stars in action, fans will take part in in a wide variety of tennis games, challenges, try-outs and workouts, and play tennis with Team Singapore athletes. Participants will also get a limited edition tour pack and a lucky draw chance to win a trip to a Grand Slam next year. At the Racquet Club, the premium hospitality experience, guests will catch their favourite tennis stars and legends up close and personal at meet-and-greet sessions at dedicated suites, all while enjoying access to the best seats in the house, a premium dining experience and free flow of wine, beer and non-alcoholic beverages for a definitive tournament experience. “Our focus for the WTA Finals has always been to provide a quality, world-class sporting and lifestyle event that not only caters to tennis fans, but also people with different interests,” shared Sarah Clements, VicePresident of Tennis – Asia at Lagardère Sports. “This year, through an expanded programme that extends beyond the court and into to the heart of the city, we hope to create meaningful touchpoints to engage and excite our audiences. With a solid tournament lineup, a curated and complementary catalogue of lifestyle and entertainment activities at Courtside@CHIJMES and Fan Village, and an effort to drive an elevated experience through the Racquet Club and other event-goer perks, there is something for everyone to create an unforgettable time at this year’s event”. The WTAFinals.com website is a one-stop centre for fans to get tickets, win opportunities to enhance your event experience and learn about all things tournament-related, from the rules of the game, to inside scoops, as well as the latest from leading players as they journey on the qualification route to Singapore. Roger Federer and Rafael Nadal together with their Laver Cup Team Europe mates and captain were pictured together having dinner in Shanghai this week. The picture was shared by Marin Cilic in his Instagram account. Federer and Nadal who share one of the most intense rivalries in tennis history are obviously became teammates for the first time and they were even paired up as doubles partners at the inaugural Laver Cup. Team Europe which was also featuring Dominic Thiem, Marin Cilic, Tomas Berdych, Alexander Zverev and captain Bjorn Borg took the championship after thrashing Team World 15-9 in Prague. The victorious team, unfortunately without Berdych, was reunited on Monday as the dined together ahead of the Shanghai Masters. If you're a big fan of online betting for ATP tennis matches, do follow up on the performances of the players in the Shanghai Masters during this period. Zverev who sat next to Nadal, also posted a similar group photo on Instagram with the caption: "Awesome dinner back with my #teameurope teammates". Federer reposted the picture, alongside the words: "We all missed the Laver Cup so much that we had to have a reunion in Shanghai... Tomas Berdych we saved you a seat!" Berdych exited the China Open in the last 16 courtesy of a shock defeat at the hands of Andrey Rublev. Nadal has better luck, beating Nick Kyrgios on last Sunday's final in Beijing. Federer, meanwhile, did not enter the ATP 500 tournament, instead opting to save himself for this week's ATP World Tour Masters 1000 tournament. What makes Nadal the favourite among fans and in tennis betting? In every sport, those involved purely as fans and those who spend hours studying form to bet professionally spend plenty of time discussing the topic of “greatest ever.” For the former group, it is often a mixture of head and heart that informs the argument, while those falling into the latter category are likely to have figures and statistics to support their view. Yet while those who are into motor racing discuss Schumacher and Fangio, or cricket followers try to decide between Tendulkar and Bradman, for the tennis connoisseur, this is a golden era. Not only are the two greatest players contemporaries of one another, they are both playing right now. While F1 fans can only theorise about whether Fangio would have been faster than Schumacher, we have the honour of seeing Federer and Nadal duke it out time and again. In fact, they have played each other professionally almost 40 times. No wonder Fedal is one of the most hotly disputed sporting rivalries ever. Some point to Federer’s greater number of grand slam wins as evidence that he is the greatest until such time as Nadal can prove otherwise. There are two flaws with this argument. The first is that at 36, does Federer really have any more grand slams in him? Nadal, on the other hand, is five years Federer’s junior, and needs just three more wins to draw level. The other factor to consider is that Nadal has won 23 of their 37 encounters, which makes it difficult for anyone to argue that Federer is the greater of the two. Whether Federer’s star finally on the wane, or he can still prove himself against Nadal is the burning question, and one that can be explored by examining the bookmakers’ view on the numerous online sports betting sites. In recent years, tennis betting has become increasingly popular, thanks mostly to the rise of smartphone apps and online services. As well as providing an opportunity to win some money, a look at the odds also gives a great form guide for tennis fans. With the Shanghai Masters getting underway, there is little surprise that the bookmakers see it as a two horse race between the two giants, and they have it too close to call. Both are around the 2/1 mark, with some offering Federer as favourite and others Nadal. If the betting odds cannot choose between them, is there other data we can call upon to differentiate between the game’s two top players? One statistic that stands out is the return of serve. There can be few tougher challenges in sport – statistically, you will miss more first serves than you return. Most professionals in the men’s game have a return rate of around 33 percent – Federer’s is slightly below average at 32.5 percent. Nadal, however, stands head and shoulders above the rest with a return rate of 35.2 percent. In the average match, a player will face around 150 first serves. According to those statistics, Nadal will successfully return four more than Federer per game. And it is small edges like this that can ultimately contribute to him being recognised as the best of all time. You must pay close attention to the draw if you are planning to place an outright bet on a tennis tournament. You should know who all might fall in the path of the player you’re backing to go all the way till the end. How has that player fared against those opponents in the past? Although you may most likely back one of the top seeds to win, but if that player is expected to take on Federer, Murray, Nadal or Djokovic en route to the final, chances are your bet may not pay off. Current form is another important aspect you must pay heed to. Before backing any player, you must see how he/she has been performing in other tournaments that year. Ample consideration would also need to be given to the playing surface. Remember, some players play particularly well on certain services. For instance, you can never rule out Nadal at French Open even if he has had a bad run in the previous tournaments in a given year. Although head to head data is important, you must put it into context before placing any bets. Recent encounters between two players on the same surface holds much more value than historic matches played between them on different courts. Furthermore, there are plenty of subtle stats you should pay attention to before backing anyone. For instance, some players are good at handling big servers compared to the others, while some don’t fare very well against players that have a high first-serve return percentage. It’s important to be very thorough when you’re placing such bets. This is another important aspect which comes into play in the best of five tennis matches. 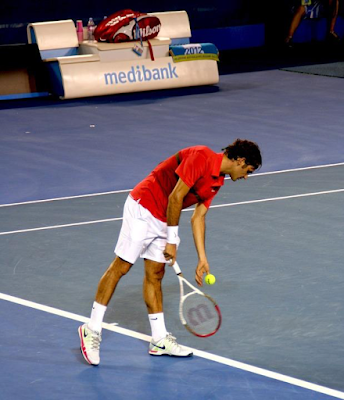 Although the tennis players nowadays take great care of their fitness levels, even the best may have a hard time maintaining top form if they were involved in a five-hour long five set match the day before. Furthermore, some players have a tendency of retiring early in small events, especially if they are nursing some injury. Others like Sam Querrey or Roger Federer like fighting their way till the end, no matter what. Please note, neither of these players have ever retired hurt from a match. In addition, retirements are far less common when it comes to Grand Slams, however, fitness levels and injuries can indeed play a major role, as has been seen in the past. Pablo Carreno Busta reached his first career major semifinal after beating no. 29 Diego Schwartzman of Argentina 6-4, 6-4, 6-2. Earlier, he beat up-and-coming Canadian teenager Denis Shapovalov in three tiebreakers in the fourth round. Carreno Busta will face no. 28 Kevin Anderson of South Africa, who got past no. 17 Sam Querrey of the US 7-6 (5), 6-7 (9), 6-3, 7-6 (7) in a match that ended shortly before 2 am on Wednesday. 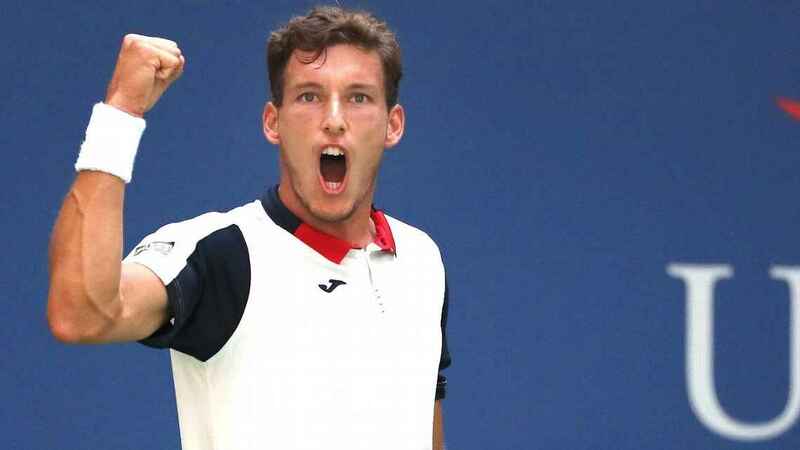 Carreno Busta had quite a smooth path to the quarterfinals, becoming the first man to face four qualifiers in a Grand Slam tournament during the Open era, which started in 1968. He didn't drop a single set against any of those opponents and stayed perfect against Schwartzman while appearing in his second major quarterfinal. Carreno Busta and Anderson each advanced to the final four at a Grand Slam tournament for the first time. Do check out the online tennis betting odds leading towards the exciting semifinal matches. Meanwhile, Roger Federer will take on Juan Martin del Potro in the US Open last eight after the Argentine's incredible fourth-round victory. Del Potro who is the 24th seed came back from two sets down to beat Austrian sixth seed Dominic Thiem in five thrilling sets. He will face third seed Federer in a rematch of the 2009 final, won by Del Potro. Del Potro who had battled four wrist surgeries is hoping that a massage and a day's rest will be enough to restore his energy in time to face an increasingly in-form Federer. The Argentine said "we cannot do magic" after battling through illness to beat Thiem in an extraordinary quarterfinal match. 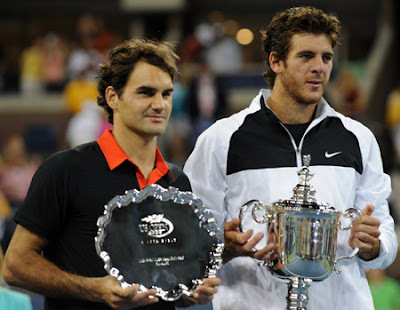 It is already eight years since Del Potro stunned then five-time defending champion Federer in the final at Flushing Meadows to win his only major title to date. Rafael Nadal will also be featured in the quarterfinals against Russian teenager Andrey Rublev who knocked out Belgian ninth seed David Goffin. 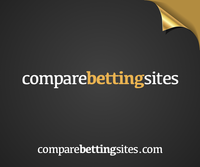 Now head over to Caulfield Cup Betting for a great experience in online betting. Rod Laver was joined by Roger Federer, John McEnroe, Marin Cilic, Tomas Berdych and Denis Shapovalov in the heart of New York City recently to announce the captain’s picks for the inaugural Laver Cup. 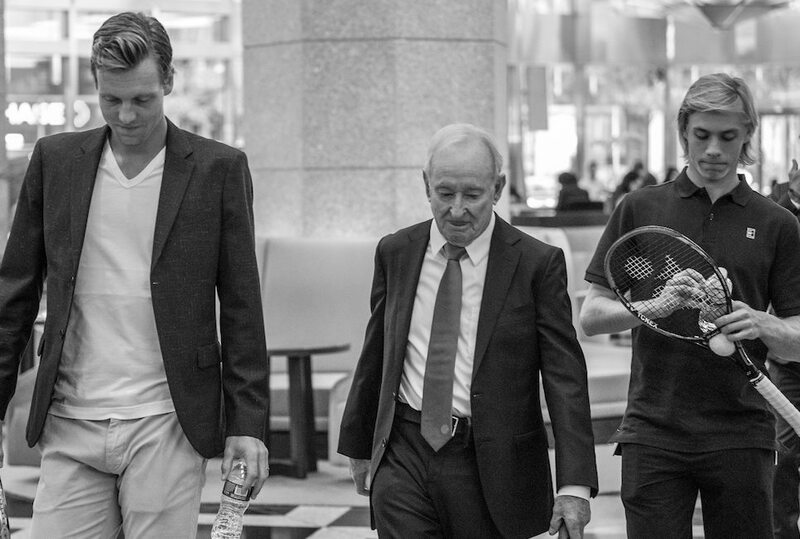 This year, the Laver Cup will be held at the O2 arena Prague from 22-24 September. It will be played in the USA in 2018. Alexander Zverev, the world no.7 becomes the fifth top 10 player for Team Europe, joining Rafael Nadal, Federer, Cilic and Dominic Thiem. Berdych will also represent the European team at the O2 arena. Meanwhile, Juan Martin del Potro and Denis Shapovalov were confirmed as the captain’s picks John McEnroe’s Team World. 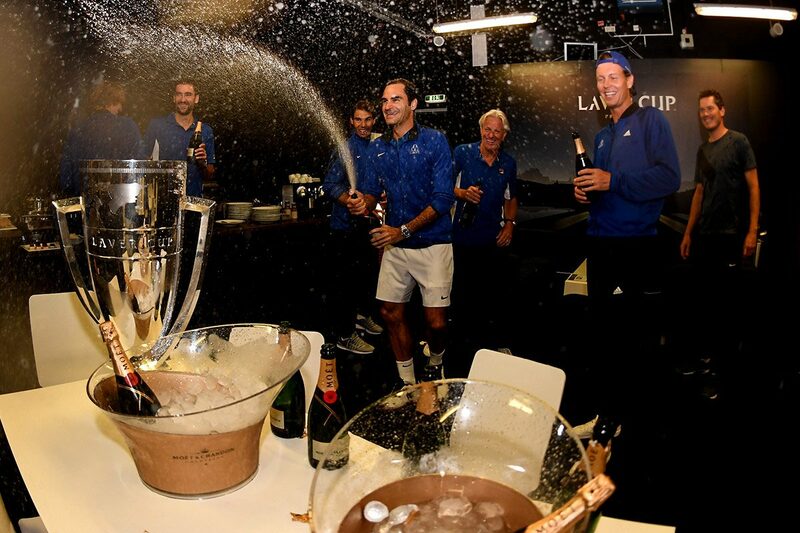 To find out the performance of the players prior to the Laver Cup, you're advised to follow the online tennis betting odds especially leading towards the US Open to be held from 28 August to 10 September. “The last member of Team Europe is going to be picked by Bjorn Borg as a captain’s pick is going to be Alexander Zverev,” Federer announced during the press conference at the JPMorgan Chase center. “We are very excited about, because he’s had a wonderful year. It’s great news. We were very excited when we heard it." Meanwhile, Team World’s captain John McEnroe said he was not ‘turning up to Prague to lose,’ and was excited to welcome Shapovalov and Del Potro into his team. Shapovalov is competing in the qualifying event of the US Open and joined the event in New York on his day off. Federer, winner of 19 Grand Slam titles and two this year (the Australian Open and Wimbledon), said he could not wait to join with Rafael Nadal on Team Europe. Players and captains alike paid tribute to Rod Laver, winner of the Grand Slam in 1962 and 1969, who the Laver Cup is named after. McEnroe described Laver as his idol growing up and the perfect choice to be honored at this new and hyped event. Now head over to Geelung Cup Betting for a great online betting experience. We're super excited about the new memoir from Maria Sharapova which is scheduled to be released on 12 September. Thanks to Press Box Publicity, we would like to share the advanced review of the memoir while counting down to the release date. From Maria Sharapova, one of our fiercest female athletes, the captivating—and candid—story of her rise from nowhere to tennis stardom, and the unending fight to stay on top. In 2004, in a stunning upset against the two-time defending champion Serena Williams, seventeen-year-old Maria Sharapova won Wimbledon, becoming an overnight sensation. Out of virtual anonymity, she launched herself onto the international stage. “Maria Mania” was born. Sharapova became a name and face recognizable worldwide. Her success would last: she went on to hold the number-one WTA ranking multiple times, to win four more Grand Slam tournaments, and to become one of the highest-grossing female athletes in the world. And then—at perhaps the peak of her career—Sharapova came up against the toughest challenge yet: during the 2016 Australian Open, she was charged by the ITF with taking the banned substance meldonium, only recently added to the ITF’s list. The resulting suspension would keep her off the professional courts for fifteen months—a frighteningly long time for any athlete. The media suggested it might be fateful. But Sharapova’s career has always been driven by her determination and by her dedication to hard work. Her story doesn’t begin with the 2004 Wimbledon championship, but years before, in a small Russian town, where as a five-year-old she played on drab neighborhood courts with precocious concentration. It begins when her father, convinced his daughter could be a star, risked everything to get them to Florida, that sacred land of tennis academies. It begins when the two arrived with only seven hundred dollars and knowing only a few words of English. From that, Sharapova scraped together one of the most influential sports careers in history. Here, for the first time, is the whole story, and in her own words. Sharapova’s is an unforgettable saga of dedication and fortune. She brings us inside her pivotal matches and illuminates the relationships that have shaped her—with coaches, best friends, boyfriends, and Yuri, her coach, manager, father, and most dedicated fan, describing with honesty and affection their oft-scrutinized relationship. She writes frankly about the suspension. As Sharapova returns to the professional circuit, one thing is clear: the ambition to win that drove her from the public courts of Russia to the manicured lawns of Wimbledon has not diminished. Sharapova’s Unstoppable is a powerful memoir, resonant in its depiction of the will to win—whatever the odds. Andy Murray will remain as the world's no.1 for another week after 18-year-old Canadian Denis Shapovalov stunned Rafael Nadal at the Rogers Cup. 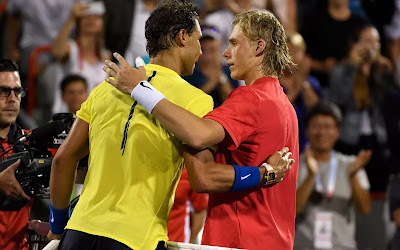 "It's what I dreamed of all my life growing up, playing guys like Rafa (Nadal), Roger (Federer), Andy (Murray)," said Shapovalov. "You know, my dream came true today." The victory put him into the quarterfinal against France's Adrian Mannarino, who beat Hyeon Chung. It was considered one of the biggest wins in Canadian tennis history and it came at the tournament that some still call the Canadian Open. Do check out the online tennis betting odds leading towards the exciting weekend matches. Shapovalov became the youngest player to reach the tournament's quarterfinals since Bjorn Borg in 1974. He also became the youngest quarterfinalist at a Masters Series tournament ever and is the youngest to beat a player ranked in the top two in the world since Nadal beat Federer in 2004 in Miami. 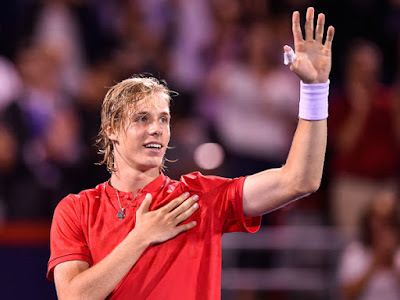 For more online tennis betting odds for Shapovalov and other players' upcoming tennis matches, do check out Online Betting NZ. Shapovalov will reach his goal of moving into the top 100 in the world next week that saw him save four match points in a first round win over Rogerio Dutra Silva, then went on to beat 2009 US Open winner Juan Martin Del Potro in the second round before defeated Nadal. Nadal, who could have claimed the No. 1 ranking if he had reached the semifinals this week, said it was the worst match he played all year, but he had kind words for Shapovalov. "He played well," the Spaniard said. "He has a great potential." "I wish him the best. He has everything to become a great player. He played with the right determination in the important moments." Nadal will have a chance to overtake Murray in the rankings after next week's Cincinnati Masters, but faces a challenge from Roger Federer, who could prevent the Nadal from reaching the top spot for the first time since 2014.